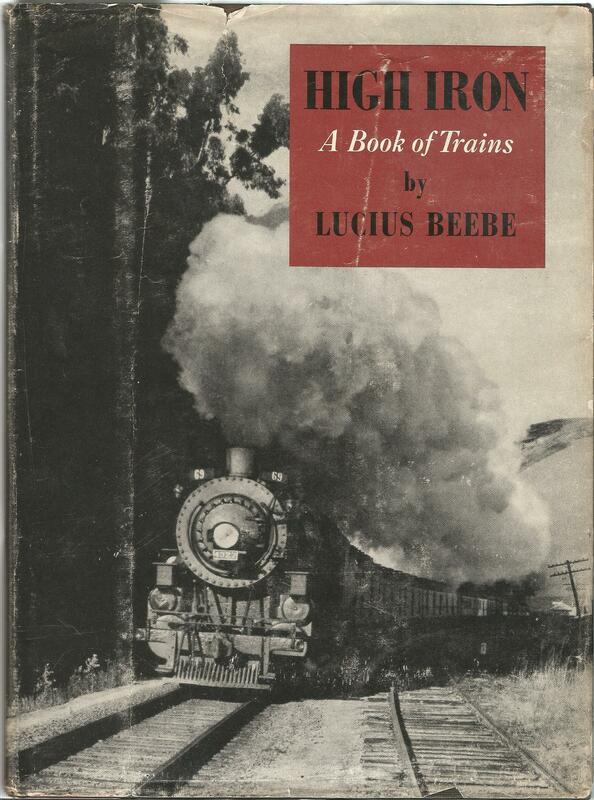 The list above is from the Lucius Beebe book High Iron published in 1938. 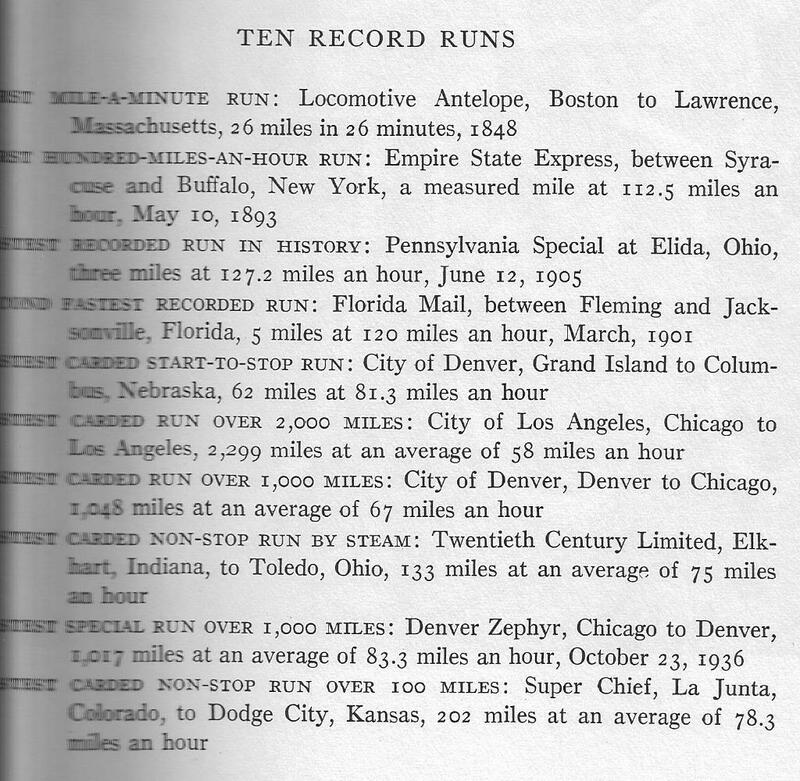 These 1930s records are a sad commentary on the lack of development of high-speed rail in the U.S. 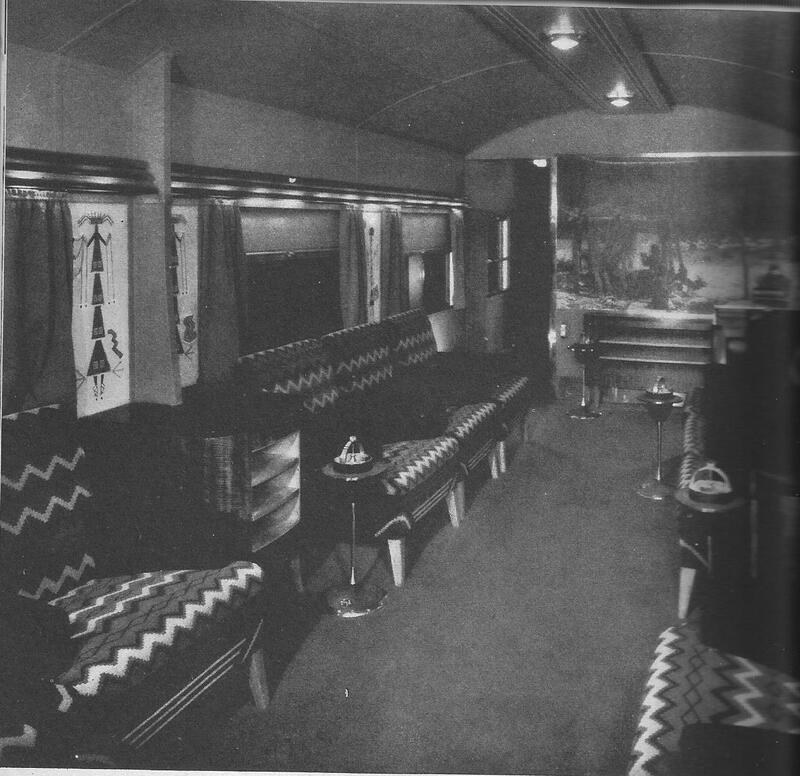 I couldn’t resist reproducing the photo below, also from High Iron, because it’s a unique view (shot facing forward, rather than toward the rounded end) of the observation lounge car on Santa Fe’s early Super Chief. In the book the photo is credited to the AT&SF but the photographer is unnamed. This entry was posted in Santa Fe Super Chief and tagged 1930s, City of Denver, City of Los Angeles, Denver Zephyr, Empire State Express, Florida Mail, Locomotive Antelope, Lucius Beebe, Pennsylvania Special, Speed records, Twentieth Century Limited. Bookmark the permalink.